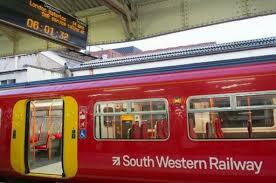 The RMT today launches a direct challenge to South Western Railway to give a “yes or no” answer about keeping guards on the train. Mick Cash said: “Today I have issued a direct challenge to SWR – are you prepared to put an offer to this trade union giving an assurance that every train will run with a guard on board in addition to the driver. Yes or no? In a letter to the company today, RMT general secretary Mick Cash wrote: “I am writing in response to press comments that you issued to the media last Thursday – 7th February – regarding the ongoing SWR dispute over Driver Only Operation and the role of the guard. “You will be aware that your statement is not only wholly factually incorrect but is a deliberate and cynical attempt to mislead the travelling public in the area covered by your franchise. “You will understand that the guarantee of a guard/conductor on every train in addition to the driver is wholly different to your statements about “rostering” a member of staff and to try and portray this otherwise in public statements is entirely disingenuous on your part.